Our professional cleaning service is outstanding. With 3 fully equipped mobile teams of cleaning specialists who cover the whole of London, when you book an end of tenancy cleaning London service with us, we will spare no effort to deliver the professional cleaning service you would expect from us. 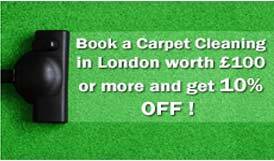 We charge a fixed price for a Professional Cleaning London End Of Tenancy in London where we provide the cleaning equipment of our cleaners and we then concentrate on the quality of the work and not the time it will take to do it. We also offer our customers professional House & Flat removal service and if you have to Move before a Professional End of Tenancy Cleaning is done to your property, Please Call us on 0800 9 24 7424 for a free Quote.